Several high-profile road maintenance projects are set to begin across Scotland this month. The biggest will be the improvement of the two bridges on the A9 near Dunblane, Auchinlay Rail Bridge and Allan Water Bridge. This £690,000 project to replace the bridge’s joints is highly complex, involving large machinery to help remove the old bridge joints across both carriageways. The new joints will then be set in place using concrete to repair the bridge deck, with both bridges then waterproofed and resurfaced. Due to its complexity, the project is expected to take seven weeks to complete, with work split into two phases. The first of these will run from November 19th until December 12th, with the second getting underway after the festive period from January 14th 2019. The A9 will remain open throughout with a contraflow system in operation to ensure the safety of roadworkers and motorists during the upgrades. Elsewhere, a new £100,000 maintenance project for the A87 Dornie New Bridge will begin on the same date for four weeks (November 19th). The upgrade ensure the bridge continues to operate safely for years to come by replacing the expansion joints at either end of the structure. At the same time, the footpath surface will be replaced to benefit pedestrian safety. A section of the M90’s southbound carriageway (between Junction 1 Scotstoun and M9 Junction 1A) will be closed for essential structural maintenance works between 8pm and 6am on the nights of Wednesday 14th, Thursday 15th and Friday 16th November. A spokesperson for operating company Amey said the work will reduce future maintenance requirements and costs by addressing faults at an early stage. Finally, ground investigations for a 15-mile section of the A9 between Dalraddy and Slochd will begin on November 19th for around 17 weeks. Some traffic management measures will be required when necessary to allow work beside the carriageway to be carried out safely. This will include alternate single-file traffic sections controlled by temporary traffic signals. 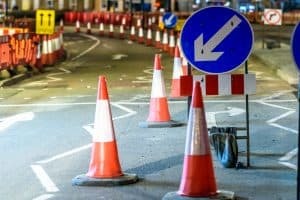 A Transport Scotland spokesperson said: “The first dualling scheme between Kincraig and Dalraddy opened to traffic in September last year and following the appointment of the contractor for the Luncarty to Pass of Birnam project, preparatory works are already underway with on-site activity expected to increase from early 2019.